According to the suit, authorities encouraged the use of makeshift heating devices at Moria camp. Nearly two years after an Egyptian migrant died at the Moria reception and identification center on the eastern Aegean island of Lesvos, his family has filed a lawsuit against Greek authorities over his death, saying it was caused by the negligence of responsible officials. Ahmed Elgamal, 20, was found dead on January 24, 2017, a few weeks after reaching Lesvos on a rubber dinghy with 12 more asylum seekers. His death was attributed to carbon monoxide poisoning from a makeshift heating device used to warm his freezing tent. A toxicology report issued by the Athens Medical School’s forensic and toxicology laboratory on February 7, 2017 showed no traces of medicine, drugs or alcohol. An earlier report published on January 31 showed that Elgamal’s carboxyhemoglobin (HbCO) blood level was 61 percent – a result of CO inhalation. Two others died of the same cause during the same week. The lawsuit, which was seen by Kathimerini, was filed on November 22, 2018. It is the first time that compensation is being sought over the grim conditions endured by migrants and refugees at Moria through legal action against the Greek state. In their lawsuit, Elgamal’s parents claim that although authorities were aware of the dangers posed by severe weather conditions, they failed to take measures to provide safe living conditions for the residents. 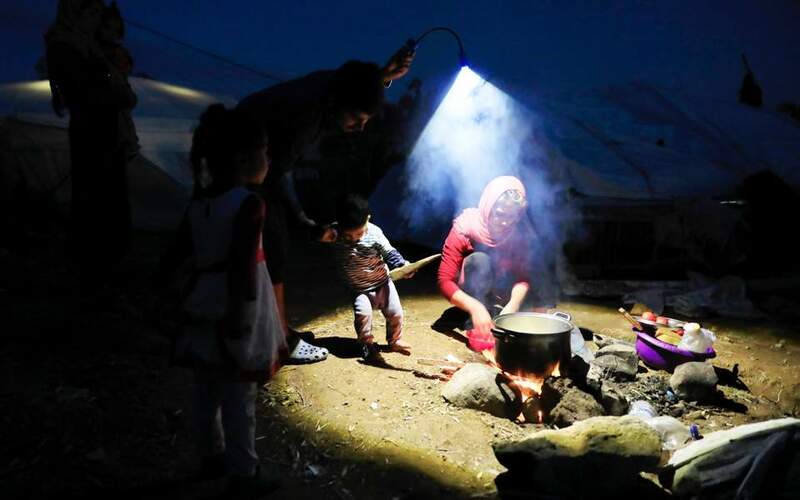 According to the suit, authorities encouraged the use of similar makeshift devices at the camp, adding that migrants would fire up charcoal grills inside the covered areas allocated for food distribution.